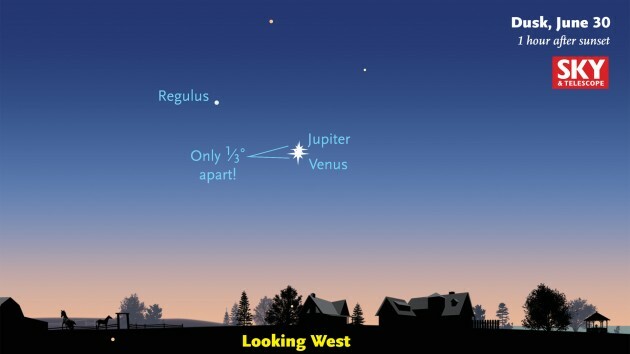 Venus is the brighter of the two and is setting in a cloud. The stars of the constellation Leo are to the left. The sky is lit up by the light of an almost Full Moon. 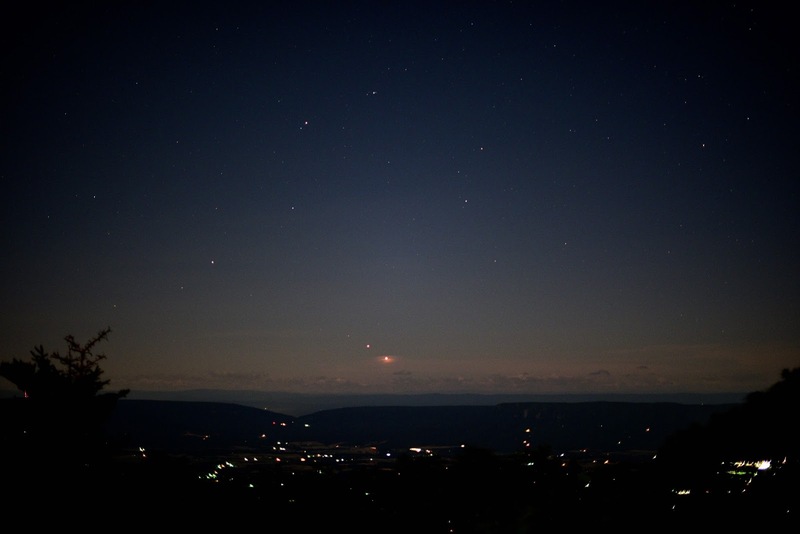 The city lights are from the Shenandoah Valley in VA as seen from Skyland Lodge in Shenandoah National Park. Try taking pics with your cell cameras and digital cameras. Binoculars AND a telescope will enhance the view. 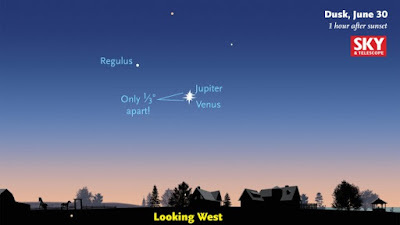 In a 'scope you will see probably see both planets in the same field of view at your lowest magnification. Here's to clear skies for us all.